﻿ Cream Of Tartar lb to tsp converter for culinary teaching and diet. Work out teaspoons in cream of tartar per 1 pound unit. The cream of tartar converter for cooks, chefs, culinary arts classes, students and for home kitchen use. 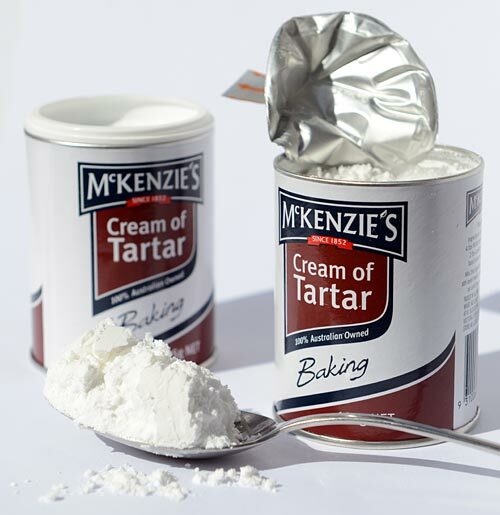 Convert cream of tartar culinary measuring units between pound (lb) and teaspoons (tsp) of cream of tartar but in the other direction from teaspoons into pounds. This online culinary cream of tartar from lb into tsp converter is a handy tool not only for experienced certified professionals in food businesses and skilled chefs in state of the industry's kitchens model. With the above mentioned units converting service it provides, this cream of tartar converter also proved to be useful as a teaching tool and for practising pounds and teaspoons ( lb vs. tsp ) conversion exercises by new culinarians and students (in classrooms or at home kitchens) who have been learning this particular cooking mastery art in culinary colleges, in schools of culinary arts and all other kinds of culinary training for converting weights and liquid/fluid volume measurements as well as dietary food value contained in cream of tartar with its nutritional values we eat. How many teaspoons of cream of tartar are in 1 pound? The answer is: The change of 1 lb ( pound ) unit in a cream of tartar measure equals = into 134.40 tsp ( teaspoon serving ) as per the equivalent measure and for the same cream of tartar type. Professional people always ensure, and their success in fine cooking depends on, they get the most precise units conversion results in measuring their ingredients. In speciality cooking a measure of cream of tartar can be crucial. If there is an exact measure in lb - pounds for cream of tartar, it's the rule in culinary career, that the pound portion number gets converted into tsp - teaspoons of cream of tartar absolutely exactly. It's like an insurance for the master chef for having always all the meals created perfectly. Conversion for how many teaspoons, tsp, of cream of tartar are contained in a pound, lb? Or, how much in teaspoons cream of tartar in 1 pound? To link to this cream of tartar - pound to teaspoons on line culinary converter for the answer, simply cut and paste the following. The link to this tool will appear as: Culinary cream of tartar from pound (lb) into teaspoons (tsp) conversion. Culinary cream of tartar converter from lb ( pounds ) measure to tsp ( teaspoons ) equivalent.